Deep house grooves unite with an jazz flavour for the dancefloor affirmation ‘It’s All Right’. Local DJ/producers Homero Espinosa and Mark Farina began making music together over a year ago, releasing several tracks through the Bay Area’s electronic collective Moulton Music. 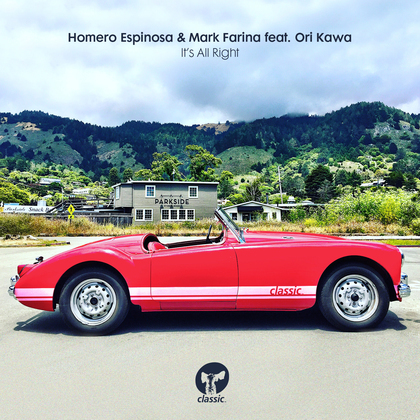 Now reaching over the pond to drop some intelligent beats on Classic Music Company, Farina and Espinosa have come up with this track that has lots of dancefloor energy. Ori Kawa does the rich, laidback vocal down to a fine art, weaving through the melodic bass and jazz piano jams. It’s a multi-dimensional club record with tons of warmth and splashed with plenty of San Fran sunshine and it’s out 10 October in it’s original format and a jazz dub version.